Flash and Air Developers Finding it Easy to Port to Android. Google Getting Serious about Gaming? Rumor: Nexus One getting major OTA update soon? Google Voice Being Tested on PC’s at the ‘plex! It's no secret that I'm a huge Android fanboy. Heck, my first story on AndroidGuys was about me being exactly that, and I've even shared my doll memorabilia collection with you guys.In last weeks poll we asked you to complete the following sentence, "You might be an Android fanboy if..."
In my (never ending) quest to inundate my life with all things Android I run across some of the most bizarre and sometimes awesome things. Fortunately, my family tolerates my craving for more (usually, until I brought my Nexus One to bed with me... ya that was some great advice). I did find something recently that I had to fight my kids over though, and even standing at 6'4" tall and 240 lbs, I almost lost it to them. 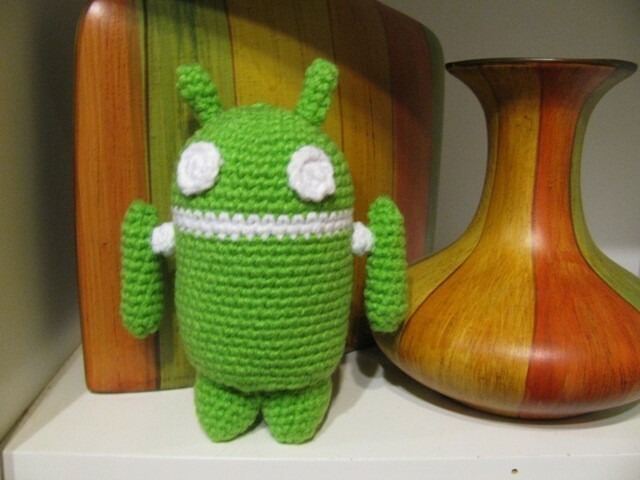 What Does The Google Apps Marketplace Mean For Android? The Great Debate: Motorola Droid or Nexus One?